Struggling to turn leads into paying customers? Smart marketers know that conversions are dependent on how well you nurture your leads. Visitors need to be engaged from the moment they join your email list to when you hit them with your sales pitch. Every step of the customer’s journey should be included in your lead nurturing process. Otherwise, you won’t get the most out of your campaign. In this post, we’ll cover 6 lead nurturing mistakes that are costing you thousands of conversions. Imagine a business with an excellent product and competitive pricing, but not a single customer. That’s a bummer, right? Well, chances are, that business hasn’t been nurturing their leads. But what is lead nurturing, anyway? Basically, it’s when you reach out to leads during every step of the sales journey. The goal is to establish and strengthen relationships with your visitors, so they’re more likely to become paying customers. In a study by Marketing Sherpa, fixing lead nurturing mistakes lead to a colossal 79% increase in conversions. That’s thousands of recovered sales! 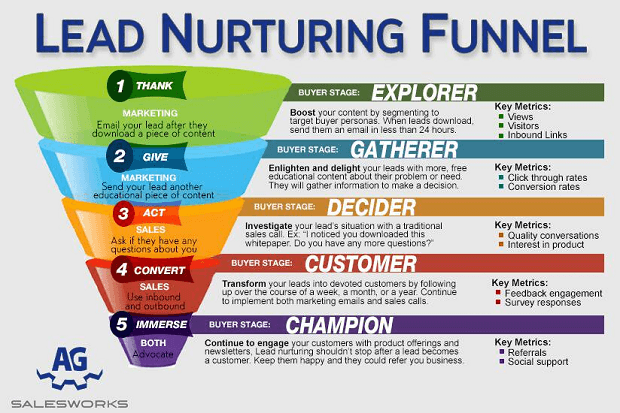 When done right, lead nurturing can help you to generate more leads. More leads means more opportunities to convert prospects into customers. And more customers means a huge increase in revenue. As you can see, leads don’t turn into customers instantly. You have to warm them up first, and systematically build a relationship with them before they will be ready to buy. How do you achieve this? By creating an individualized journey for each lead who comes across your site. That’s the whole concept behind lead nurturing. But it’s far from foolproof. Unfortunately, most marketers make some fatal mistakes along the way that kill their conversions. Are you making one or more of these mistakes below? Read on to find out what lead nurturing pitfalls to avoid. When it comes to generating leads and making sales, understanding your ideal prospect is everything. And that takes quite a bit of research. This is the phase of the process that most people would like to skip over. But if you do, you’re setting yourself up to fail. No matter what your product or service, you cannot sell it to anyone unless you truly understand the person you’re selling it to. Already have some sales under your belt? Survey customers with lead nurturing emails. Check out this HubSpot post for ideas and lead nurturing email examples. Try to get to know the customer better. Find out why they bought your product. Did your product improve their lives? If so, how? This information is key to connecting with similar customers in the future. But wait, there’s more. What if your business is completely new? If you have zero customers, you’ll have to do a bit more digging. 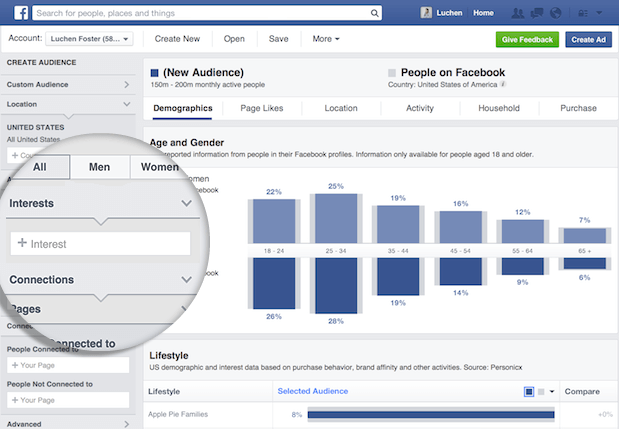 Use tools like Facebook’s Audience Insights to learn about your competitor’s followers. 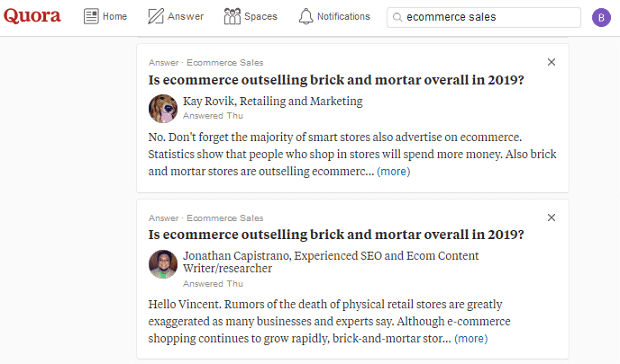 You can also use other social media platforms like Quora to discover what problems your target market is struggling with. Just search for a related topic and see how people are talking about it. Another great way to learn about your ideal prospects is by looking at Amazon book reviews. All you need to do is browse books that are related to your product or solution. For example, you could look at nutrition book reviews to learn more about the struggles that people are facing when eating clean. Then, you can use this information in your lead nurturing email strategy. That way, you’re able to address any pain points visitors may experience. Hopefully, you are already using a lead magnet to ethically bribe prospects to give you their email addresses. If not, you definitely want to start capturing email addresses as soon as possible. That way, you can create mailing lists for your email nurturing campaign. The next logical step is to fully optimize your lead magnets. After all, lead magnets can boost lead generation and conversions by as much as 400%! But in order to reap these rewards, you need to ensure your magnet entices the reader. And make sure it’s located in a place visitors can see. Your main, catch-all lead magnet should solve a big problem that your buyer persona is facing. For blog post pages, use content upgrades as your lead magnet. These are lead magnets that you create specifically for an individual blog post, and they help the reader take the next step after reading. Your optin should be fully optimized for conversions. Use our 63-point checklist for creating the ultimate optin. Your optin should be placed on these 14 high-converting places on your website. 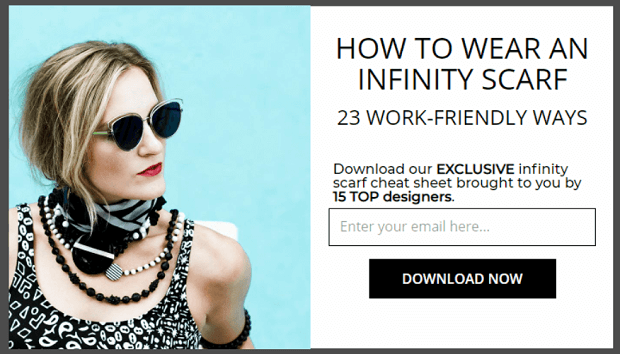 Moreover, you should always include an exit popup and a scroll popup, in addition to embedding the form within your content. Make sure that the lead magnet itself is well designed and valuable so that your prospect will be really impressed when they download it. Split test your lead magnets to see which offers resonate the best. Recommend Reading: Lead Magnet Blueprint: How to Create a Lead Magnet that Converts! Some marketers have no problem capturing leads, but they still struggle to make sales. This problem is most commonly caused by a lack of an effective lead nurturing campaign. Imagine yourself in the shoes of your prospect. They visited your website, they liked what they saw, and they loved your lead magnet. Now what? Don’t drop your download and then leave your leads in the cold. 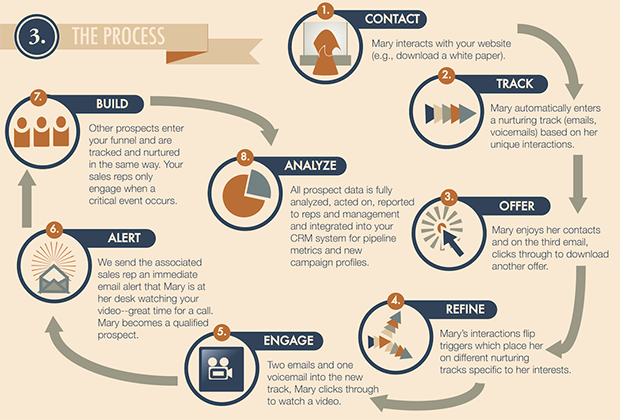 Take a look at this lead nurturing funnel from QuotaFactory (formerly AG SalesWorks) to see what you should do. Step 1. Choose a goal for your lead nurturing campaign. What is the end action that you want your prospects to take? What products do you want them to purchase, and in what order? This sounds simple, but defining your goals will help you to reverse engineer the journey that your prospect will take to become a paying customer. Step 2. Segment your list. Your lead nurturing campaign should look a bit different for each lead, depending on how they got on your email list in the first place and what their particular interests/needs are. Doing this can get you 14.45 higher open rates and 62.835 higher click-through rates, on average. Stages in the sales cycle, etc. To learn all the different ways of segmenting your list, check out our other post on 50 Smart Ways to Segment Your Email List Like a Pro. Step 3. Choose a robust email marketing software. For your lead nurturing campaign to be effective, you’ll need the right tools to get the job done. That means getting an email marketing software that is robust enough to handle your segmentation and autoresponder needs. Ready for the good news? OptinMonster integrates with all popular email marketing platforms. Just something to keep in mind when you decide to level up your lead generation campaign. Step 4. Map out your entire campaign. Create an outline of the emails that you will send out to each segment of your list. These emails should include both value-driven and offer-driven emails. That way, you can build trust with your subscribers before going in for the sale. Also, keep in mind that many prospects won’t buy the first time you ask. However, they may buy from you down the road, so don’t give up. Oh, and one more thing. Remember not to rely completely on one email autoresponder series. You’ll need to have a plan for continued interaction with your email list even after the series has ended. For example, you could send your subscribers an email whenever you publish a new blog post. Step 5. Write your autoresponder sequence. Now it’s time to write out your sequence. That’s a big topic in and of itself, so we have provided you with another post which covers 19 Quick and Dirty Tricks for Writing Better Emails. In general, write as if you were talking to just one person instead of to your entire list. Additionally, you should use language that they can relate to on a personal level. In other words, steer clear of jargon and dry corporate speak. Step 6. Monitor and improve your campaign. As with any campaign, you’ll want to monitor, test, and improve your lead nurturing sequence. Use your email marketing analytics to discover where your subscribers are dropping off. You can also send surveys to your list at critical points throughout your sequence to help you troubleshoot why someone isn’t buying. Or, what they would be more likely to buy instead. Recommend Reading: 6 Steps to Create an Effective Email Autoresponder Series! When one of your leads raises their hand and expresses interest in your product, do you follow up with them? Maybe they didn’t buy right away because they had to think about it. Are you reminding them that they need to make a decision? For the most part, the extent to which you successfully turn a lead into a purchasing customer depends on how well you follow up with the lead. In other words, the big obstacle that stands between converting a prospect into a buyer is the task of following up. Studies show that approximately 40-50% of leads are not followed up! That’s a huge wasted opportunity, not to mention that many of those lost leads will likely end up buying from a competitor. Use your CRM system to check and follow up with all your leads. Be responsive to prospects by providing answers to all their questions. According to the Harvard Business Review, businesses that get in touch with potential customers within an hour of receiving inquiries are nearly 7 times more likely to convert leads. So follow up fast! Automate what parts of your follow-up system that you can. You won’t be able to automate your one-on-one calls of course, but you can still automate things like your lead nurturing campaign (described above) and your call scheduling. And don’t forget, you can also use OptinMonster to engage visitors with follow ups. Simply open up the campaign you want to display, then go to Display Rules » If… and change the box to visitor has not opted in. For the second box, choose the existing campaign you want to follow up with. Case Study: How Anywhere.com Recovers 56% of Abandoning Visitors With Onsite Follow Up Campaigns! While a sale starts with finding hand-raisers for your offering, it doesn’t end there. It doesn’t even end with your follow up. The final step is your sales pitch. Whether or not your sales pitch is actually effective at converting prospects into buyers will determine your success or failure. So, how do you create a good sales pitch? For starters, you want to demonstrate why the prospective customer needs your product. And more importantly, why your product is better than your competitor’s. 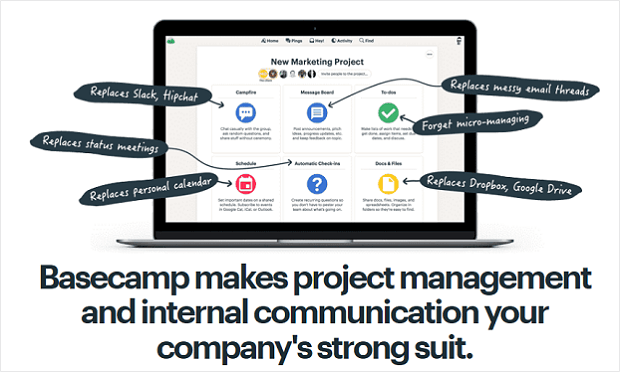 Check out this sales pitch from the project management platform, Basecamp. Want to know what makes this pitch great? It drives the point home with as few words as possible. One quick glance at the landing page and you already know what Basecamp does and how it beats the competition. In online marketing, there are two basic types of sales pitches. You have pitches designed for the masses. These are usually in the form of a sales page, a webinar or an email broadcast. Then, there are pitches made for one-on-one engagement – usually via a phone call or a personal email. Your product and your personal preference should determine which form of pitch you choose. For example, a very high-end product would sell much better over a phone call than via a mass-broadcasted email. Once you know how you’ll make your pitch, you’ll need to master the delivery of your pitch. Or, you could hire professionals to create the pitch for you. For instance, if you are using a sales page to make your pitch, you can hire a good copywriter and a designer who understands marketing to create the page for you. If, however, you’ll be delivering your pitch over the phone, consider hiring a coach to help you rehearse your pitch. Remember: this is the last opportunity you have to convert your prospects, so make it count, and invest in expert help as needed! You’ve probably read about the importance of testing many times, so let’s get straight to the point: are you testing your campaigns? If the answer is no, why haven’t you started? Most people put this off because, frankly, testing can seem overwhelming. You have to come up with a hypothesis, then test it by coming up with variations of your campaign. Finally, you need to analyze the results. That way, you can figure out what did and didn’t work in your campaign. And when the technology isn’t as easy as it could be, the whole thing can start to really make your head hurt. Thankfully, the tools are getting better. 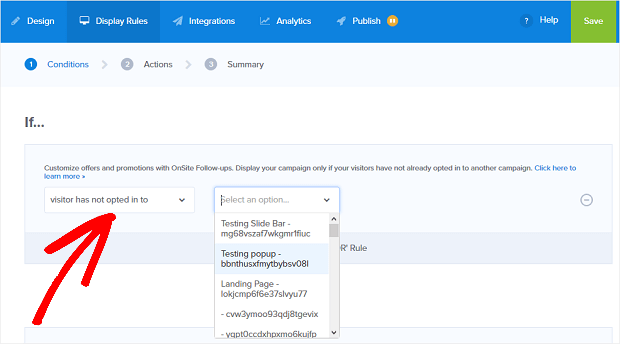 These days, there are some pretty awesome tools that can help you to split-test and analyze the results of your campaigns with the push of a button. CrazyEgg: Ideal for mapping out the actions and attention of your website users. AB Tasty: One of the most comprehensive AB testing and multivariate testing apps. LuckyOrange: The perfect tool for evaluating why users aren’t filling out your contact forms. Then there’s OptinMonster, which you can use to run A/B tests on your optins. OptinMonster makes A/B testing a breeze with the ability. 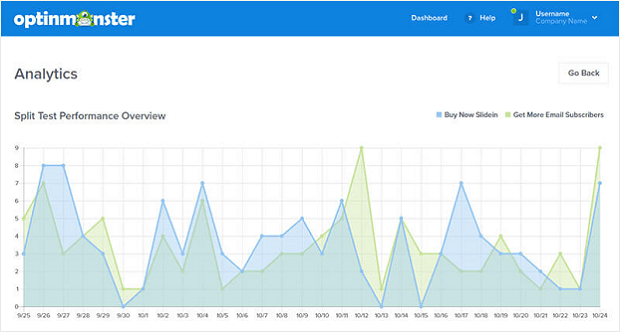 All the information is displayed in an easy-to-read analytics dashboard. Recommend Reading: 36 Conversion Rate Optimization Tools that Pros Can’t Ignore! How well you understand your prospect. How well you tailor the journey to them, starting the moment they sign up for your newsletter. So start by fixing Mistake 1, if you haven’t done so already. Understanding your customer is usually the toughest part. Once you’ve really done your research, it will be far easier to identify exactly how you can go about fixing the other 5 mistakes. Which pitfall have you fallen in to? Have you found a solution? We’d love to hear from you in the comments! The post 6 Lead Nurturing Mistakes That Are Killing Your Conversions appeared first on OptinMonster.